Starter succulents (echeverias) and three different cacti varieties are all un-named, so it's a bit of a lucky dip as to what you will receive, but they are all super-cute. 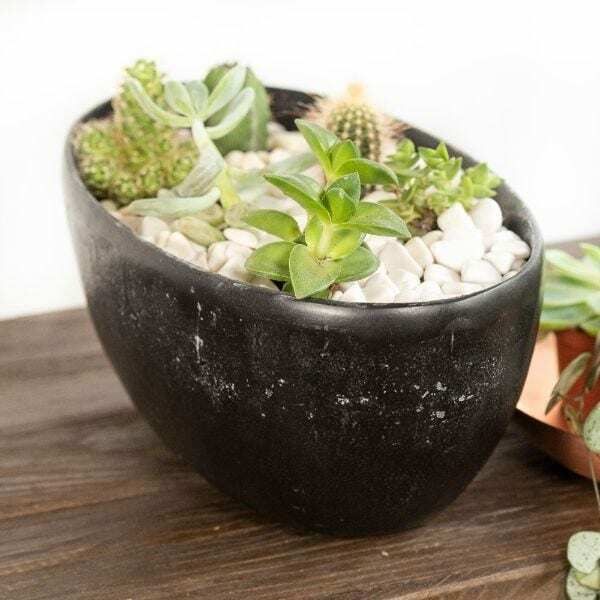 Home care: Place it in a bright spot and in spring and summer, water when the compost gets dry, but make sure it never sits in excess water for any length of time. In autumn cut back on the water and keep it almost dry throughout the winter - watering only if it starts to look a bit shrivelled. Avoid a humid atmosphere (no bathrooms or steamy kitchens) and in the warmer months, open a window or door occasionally so it can enjoy the fresh air.